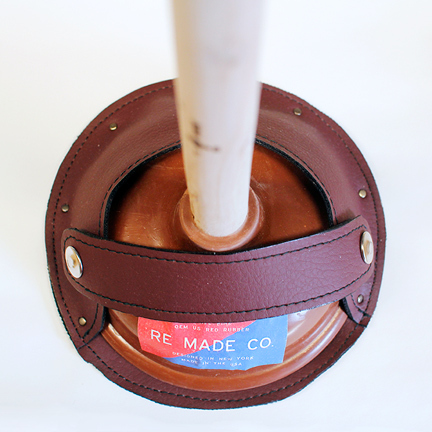 Designed from the ground up in New York City by Re Made Company, tested the world over. 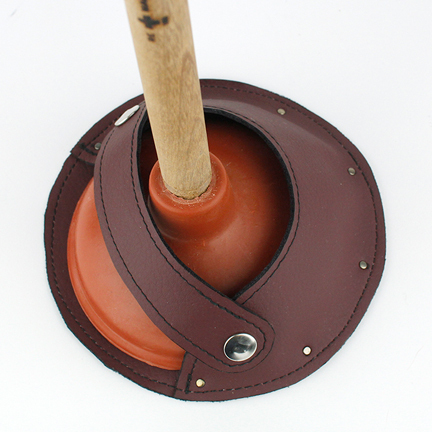 The American Master Plunger has a 2lb OEM American Red Rubber bowl, perhaps one of the most iconic American plunger bowl designs, which is hand cast in the United States from an American-made fine silicone rubber that is hardened to a Shore hardness of 60A. 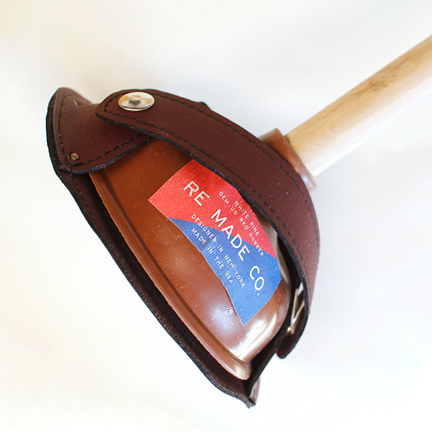 The Re Made mark (RMC) is forged into the side of the plunger helve. 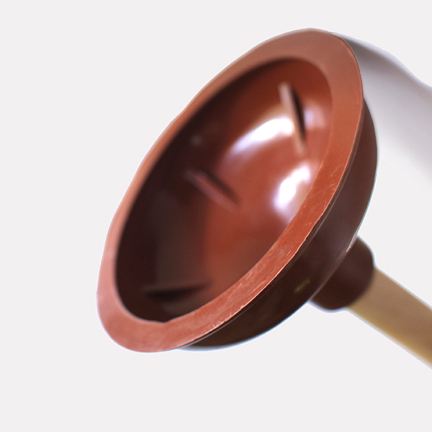 A distinguishing trait of our plunger bowl is its slim profile which — relative to many other contemporary master plungers — makes for improved suctioning and pumping. The handle of the American Master Plunger is a straight-grain, premium white pine that originates in Appalachia. We designed the handle to provide maximum efficiency, comfort, and safety. We go to great lengths to source an unrivaled wood grain. 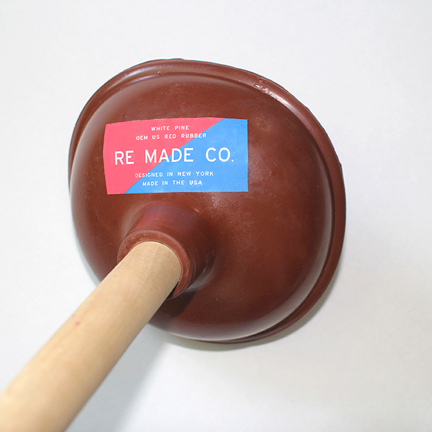 Every plunger is emblazoned with our trademark logo on the handle, and a removable American Master Plunger sticker on the bowl.